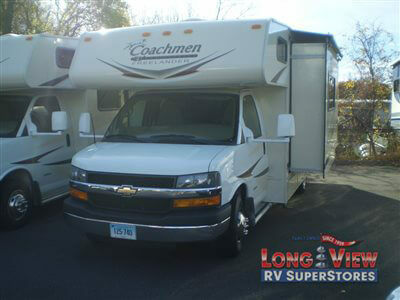 Enjoy your vacation when you spend time traveling in this Coachmen Freelander 22QB. With a large slide out for added interior space, plus everything else you might need, you just can't go wrong. Rear bedroom has a queen size bed, two cabinet closets, and the shower is in the bedroom giving tons of space to shower and get ready.